1959 Camel Cigarettes original vintage advertisement. More and more people are realizing the best tobacco makes the best smoke. 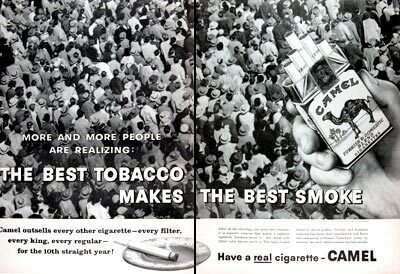 Camel outsells every other cigarette, every filter, every king, every regular for the 10th straight year. Have a real cigarette - Camel.